Telangana and Haryana are at the second and third positions. Others in the top ten are Jharkhand (4), Gujarat (5), Chhattisgarh (6), Madhya Pradesh (7), Karnataka (8), Rajasthan (9) and West Bengal (10). 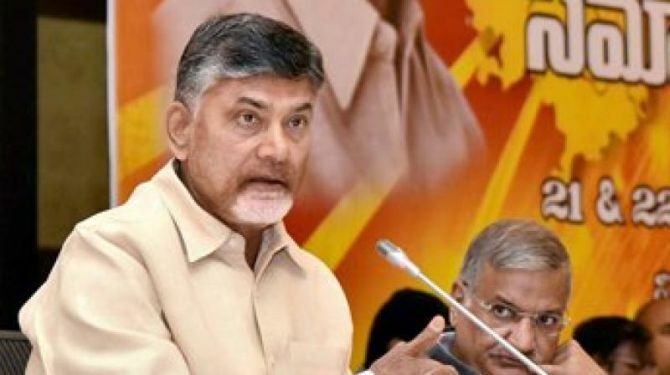 Andhra Pradesh has topped the ease of doing annual business ranking of states and Union Territories by the World Bank and Department of Industrial Policy and Promotion (DIPP). Telangana and Haryana are at the second and third positions, respectively, according to a statement issued by DIPP. Others in the top ten are Jharkhand (4), Gujarat (5), Chhattisgarh (6), Madhya Pradesh (7), Karnataka (8), Rajasthan (9) and West Bengal (10). Meghalaya was ranked last at 36th position. DIPP in collaboration with the World Bank conducts an annual reform exercise for all States/UTs under the Business Reform Action Plan (BRAP). "A large number of states have made significant progress in reforms suggested in BRAP 2017," it said. The assessment under the BRAP 2017 is based on a combined score consisting reform evidence score that is based on evidence uploaded by States/UTs and feedback score that is based on response garnered from the actual users of the services provided to the businesses. DIPP said 17 states have achieved a reform evidence score of more than 90 per cent and 15 have achieved a combined score of 90 per cent and more. "The states which have achieved 80 per cent or more reforms evidence score represent 84 per cent of the country's area, 90 per cent of the country's population and 79 per cent of India's GDP," it said. Number of reform actions implemented under BRAP 2017 increased to 7,758 from 2,532 in 2015.